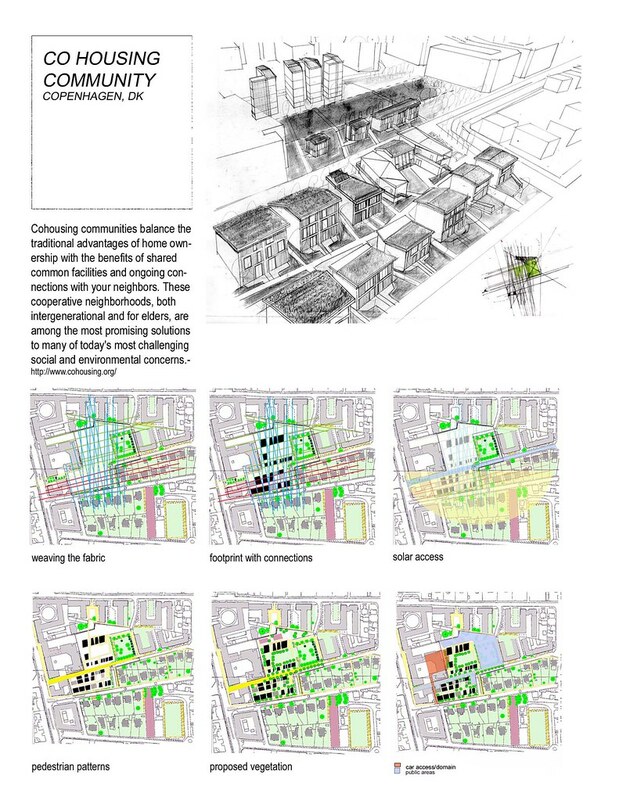 Cohousing: communities balance the traditional advantages of shared common facilities and on-going connections with your neighbors. These cooperative neighborhoods, both inter-generational and for elders, are among the most promising solutions to many of today’s most challenging social and environmental concerns. 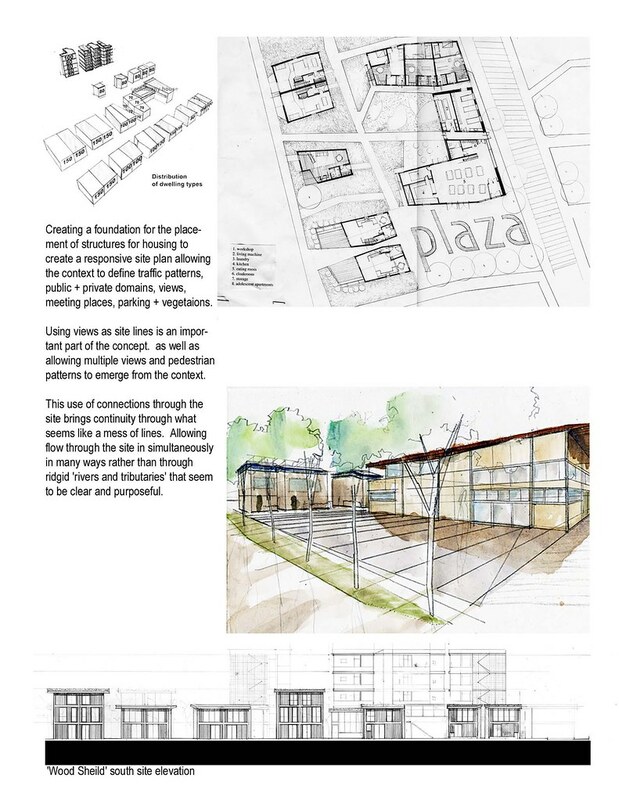 Design Strategy: Creating a foundation for the placement of structures for housing as to create a responsive site plan allowing the context to define traffic patterns, public + private domains, views, meeting places, parking + vegetations. Site Lines were used to construct the massing of the buildings, matching the cues from the context while allowing for solar access to the site, separate pedestrian and car access, and adding vegetation over the walkways to emphasize promenades. This use of connections through the site brings continuity through what seems like a mess of lines. Allowing flow through the site in simultaneous ways rather than through rigid ‘rivers and tributaries’ that seem to be clear and purposeful (and boring).